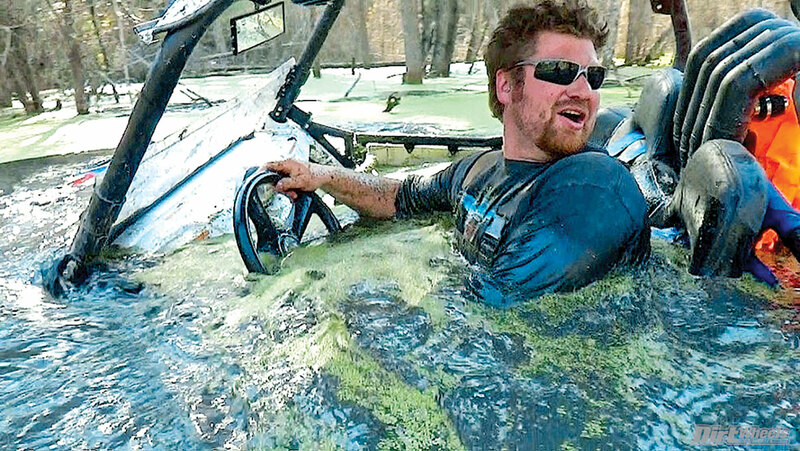 Floyd Bridges is the owner of Snorkels “R” Us, and here he is testing the company’s new Deep 5 system on a UTV. He says they’re working on the Deep 10 model that’ll allow UTVs to go even deeper. It’ll also come with a diving helmet for the driver that has a tall snorkel attached to it for breathing when he’s underwater. Well, it’s not actually new. You may remember that Suzuki’s automotive division used to sell a street-legal 4×4 vehicle called the Samurai. It actually had a shorter wheelbase than many of today’s UTVs. 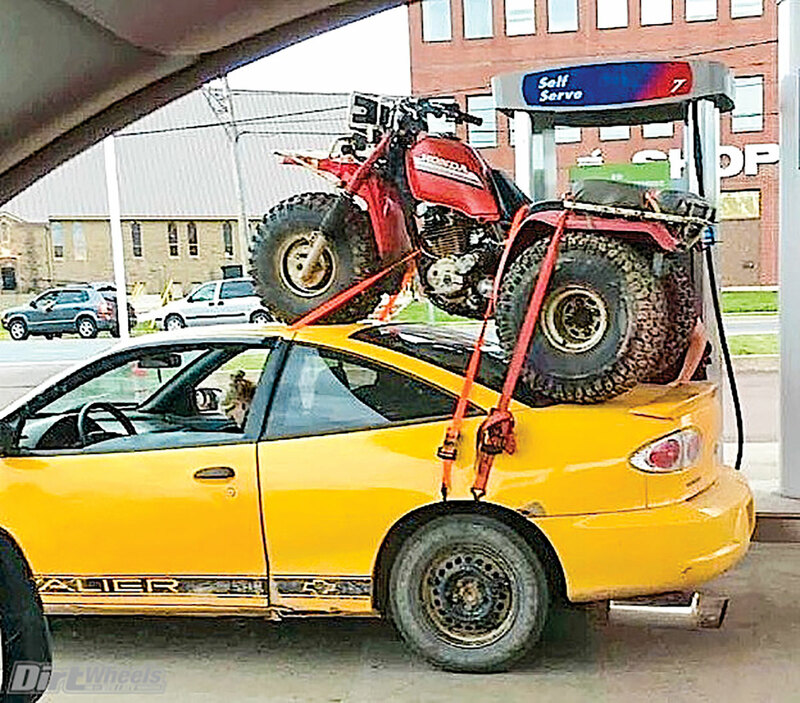 It’s rumored that Suzuki may simply reduce the weight of that machine and introduce it again as a UTV. 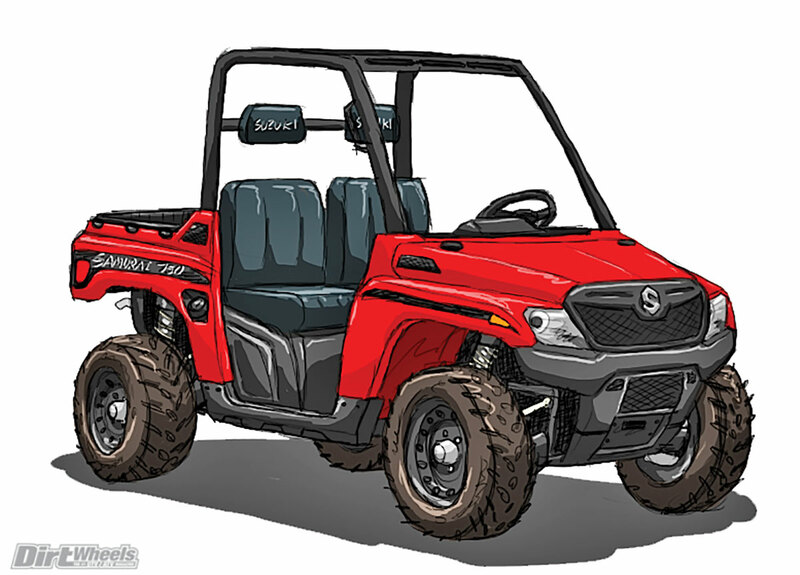 Here is how a Samurai 750 might look with a KingQuad engine, as drawn up by Scott Sixby. WHEN WAS THE FIRST UTV? Some say it was the Yamaha Rhino, but there was the Polaris Ranger before that and the John Deere Gator before that. Well, it turns out there was another UTV even before those vehicles. Ten thousand years ago Fred Flintstone was driving off-road in this vehicle here. 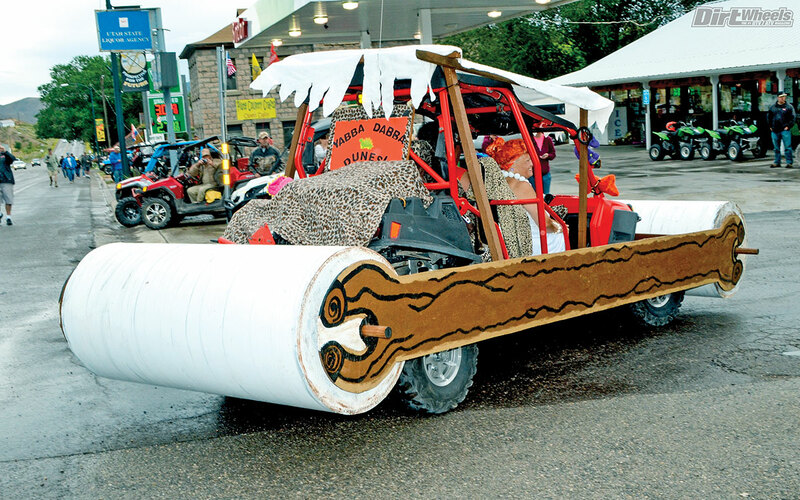 It didn’t have very good suspension, and the acceleration was extremely slow, but it still may qualify as the first UTV. Many people aren’t comfortable with owning an electric car because of the anxiety of being stranded out in the middle of nowhere with a dead battery. To help eliminate that fear and boost sales, electric car companies are trying new ideas to allow the driver to continue on even when the battery runs out of charge. 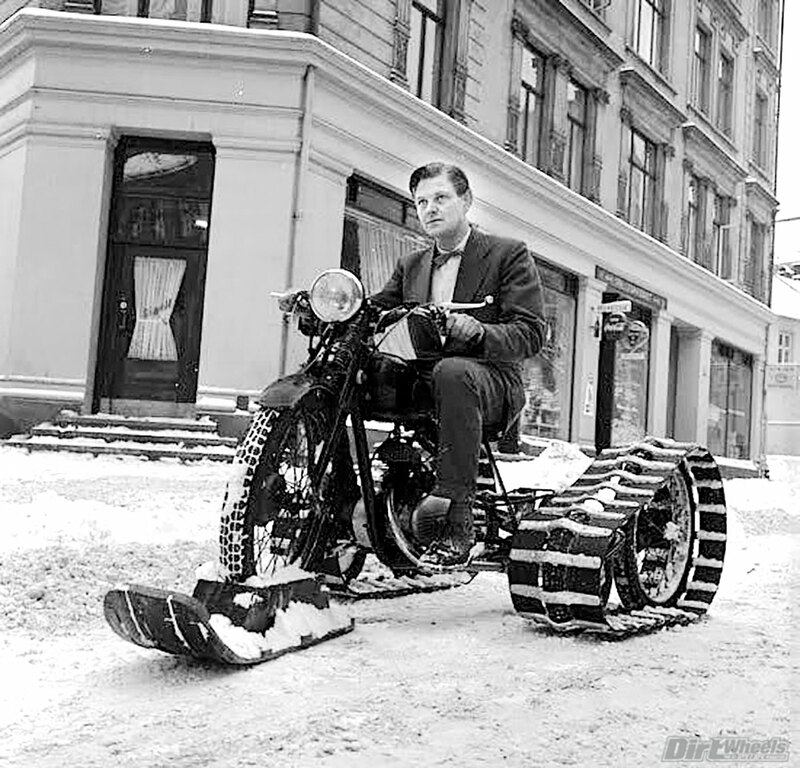 Here is one concept being tested. Arnold Ziffel is the engineer in charge of this test machine’s development, and he says it carves tight trails very well. He admits there are still a few bugs to work out, such as keeping the chain on the sprockets when the rear axle pivots back and forth. It’s made in North Korea, and they say it incorporates all of that country’s latest technology. 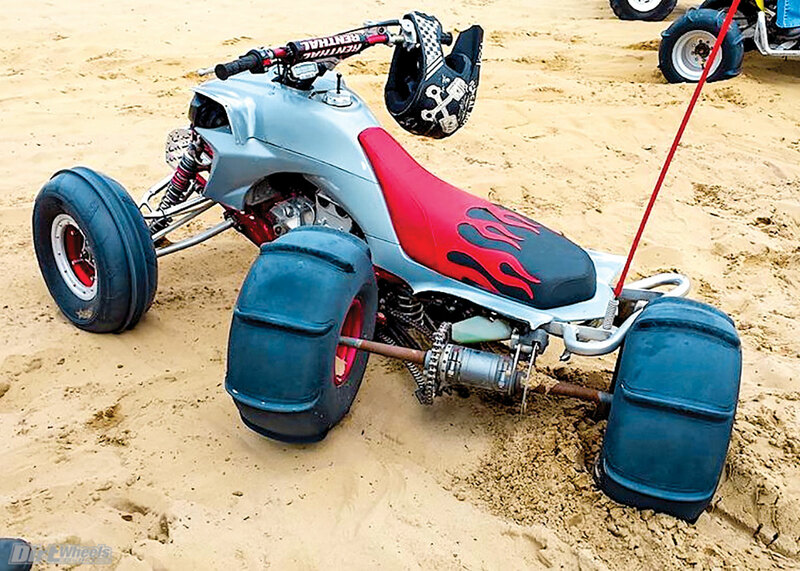 A government spokesman also claims they have a dirt version of this three-wheeler that will smoke Honda’s ATC90. They’re proud that it took them only 45 years to reach that goal. It’s been a while since Honda introduced a new sport quad, and it makes sense that they’d offer a challenger to Yamaha’s Raptor 700. 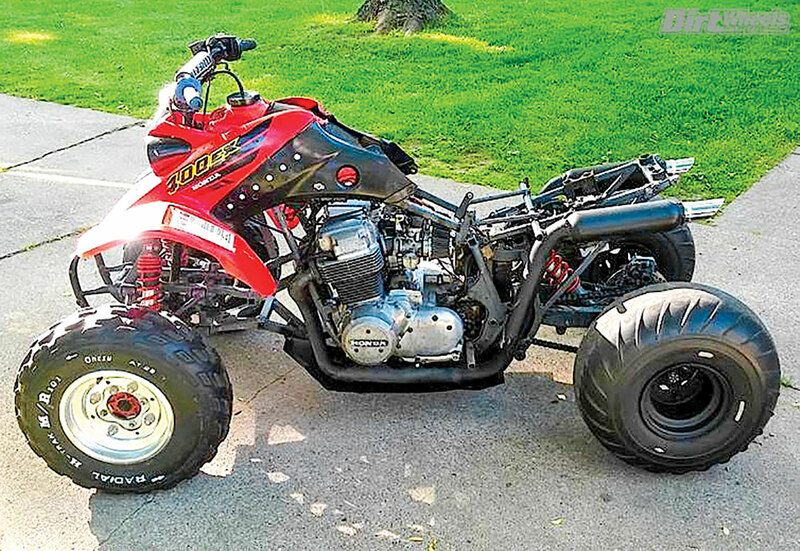 To make sure it produces more power than the Raptor, this test machine has a four-cylinder 750 engine. We’ll keep you posted on its development and have a test of the production version as soon as it’s released. Chris Blais & Jeremy Gray 1st Overall 4 wheel vehicle at Sonora Rally! Make your 4-stroke a 2-stroke!